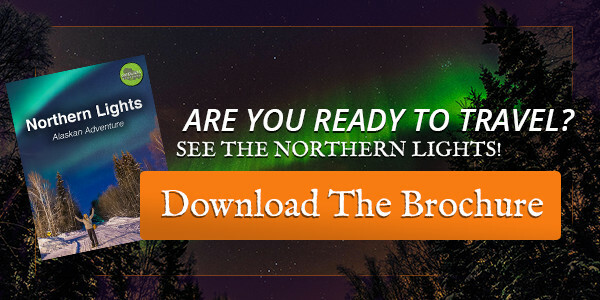 What Makes Our Northern Lights Ecotour So Special? Last year Diane Trif joined us in December in Fairbanks, Alaska for our Northern Lights Ecotour. We enjoyed 6 days of snowshoeing, dogsledding, hot springs, curling, reindeer and tons of Aurora sightings! Diane was kind enough to feature us in an article on her blog, describing her experiences with us in Alaska and the things that make our trip so unique. We are constantly getting 5 star feedback from our guests, check out our reviews on Facebook! They love the 24 hour services, our beautiful lodges, unique activities and friendly knowledgeable guides. This trip is doable for people of any age and mobility, it can be as active as you want. As Diane says, you can enjoy a tour without it feeling like a tour. It just feels like a perfectly curated and authentic adventure, making friends with the locals and learning what living in interior Alaska is all about. One special feature of our tour is the service of an Aurora Guide. Our guides are always local, friendly and knowledgeable about Alaska nature and culture. They will join you for dinner each evening, and then return to the lodge with you. After you head to bed, they will stay up watching the skies and the forecasts, and will give you a wake up call whenever the lights appear. That way you can remain warm and well rested for your next day’s activities and still see tons of Aurora. Our guides are available to provide photography assistance and fetch you hot drinks or additional gear from inside the lodge while you take in the splendor of the Northern Lights. Our tour features exclusive activities you can’t find with any other company. Take a curling lesson with local players and try out this famous sport. It is so much more fun than you might imagine. Learn the technique, laugh with your friends, and enjoy a little friendly competition. We also visit an organic family farm, where you can meet the family and their farm animals, tour the property and learn about true homestead living followed by a light homemade lunch in their cabin. It is truly the people we work with that make our tour so unique. Our guides are always fun characters who live the Alaskan lifestyle and have tons of interesting stories to share. The people who host us in their homes and businesses are so happy to share the culture of Alaska with our guests, and our guests love to get a peek into what everyday Fairbanks life is like. We stay in cozy, log cabin style lodges 20 minutes outside of Fairbanks. The advantage to staying outside of town is you get less light pollution from the city, and therefore, better Aurora viewing and photography. Our lodges are family owned and serve delicious home cooked breakfasts. The rooms feature private bathrooms, and there are always nice common areas for relaxing and socializing. The innkeepers provide top notch service and are available to make sure your stay is comfortable. When the lights come out, all you need to do is step out onto your deck, or walk 10 seconds outside to get a perfect Aurora view! Call us or email us to learn more about this incredible adventure that you can only experience with Gondwana. We are now taking bookings for the 2018-2019 season, but the trips often fill up fast. Don’t wait, the time to see the lights is now while the solar cycle is still near it’s peak. We’ll see you in Alaska!